Ash Ketchum didn't earn a degree in being the very best. But you can. Colleges and universities around the world have begun offering courses involving Pokémon Go, the free virtual reality app that took over the world this past summer. The game, which as of August had been downloaded more than 100 million times, enthralled politicians, players and apparently professors, because Pokémon Go-related curriculum is popping up more often than Zubats. 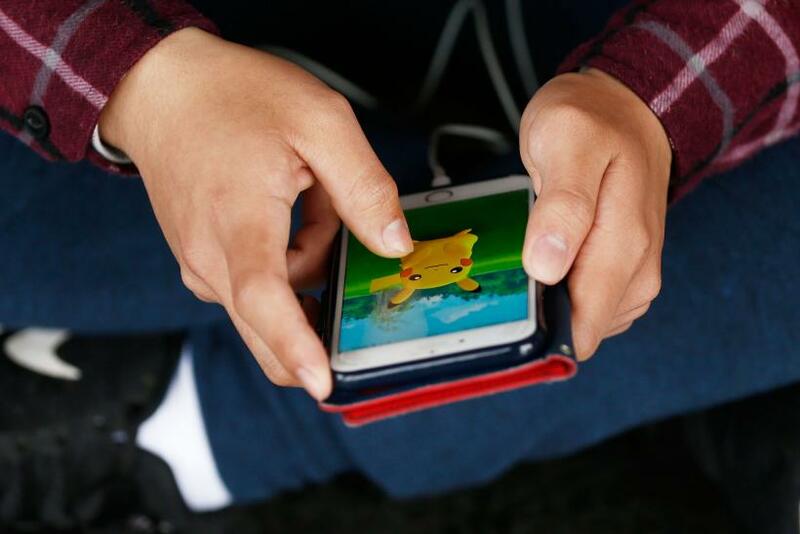 "People can see it as just a mobile game, predominantly made for kids," University of Illinois - Chicago professor Adrianne Massanari, who has written Pokémon Go syllabi, told Vocativ. "It would be very easy to dismiss it as some kind of pop culture phenomena, but once you start digging in there it becomes a great object for all kinds of questions we can be asking." 1. At Salford University in Salford, England, students taking a certain business information technology class will be required to play Pokémon Go as part of their coursework, the Mail on Sunday reported this week. "We want new students to feel that our subject is accessible and easy to grasp. Pokémon Go fits perfectly with that," professor David Kreps, who teaches about app development and information systems, told the Mail. "It uses various information systems that are accessed over the internet, a digital camera and a GPS location sensor." 2. National Taiwan University in Taipei launched "A Study On Pokémon," a course that analyzes the monsters through the lenses of science, history and law, according to What's On Weibo. But professor Hong Guang Ji told the China Times that if students want to learn how to catch Pokémon, they should take another class — "I'm sorry, it's not really our expertise," he said. 3. At the University of Idaho in Moscow, Idaho, students in the "Pop Culture Games" course will play the game to improve their physical fitness. In a news release, instructor Steven Bird said he hoped playing the free game would help students explore campus and work with a team. "I want it to be more than people going, 'I’m going to go catch a Pikachu,'" Bird added. 4. Fresno City College in Fresno, California has advertised a physical education class focused on Pokémon Go. The 26-person course, "Walking," will use the game to facilitate cardiovascular workouts, according to the Fresno Bee. 5. Northern Illinois University in DeKalb, Illinois, offered a one-day class about Pokémon Go in August. The course — "Mapping, Exploring & Pokémon Go!" — centered around the app's mapping and geographic information system technology.